A talk which pulls no punches is coming to Halton, to celebrate the re-launch of the hard-hitting book: Two Fisted Gentlemen: A History of Boxing in Widnes & Runcorn. Join Halton Borough Council at Widnes library for an evening with local historian and author John Sinnott to celebrate the re-print of his popular local history book. 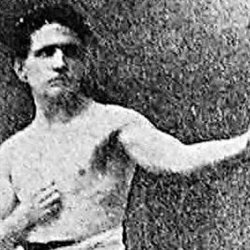 On Tuesday 22 January at 6pm, John will be talking about how boxing played a great part in the working class culture of Widnes and Runcorn in the early 20th century and the towns produced many champions, such as Tom Burns. John will re-tell the history of such boxers, both amateur and professional; and the people behind their success such as promoters, coaches and managers. This evening is a must for anyone with an interest in sport and local history. John Sinnott will also be selling copies of his book on the evening. Tickets are free but must be reserved online:https://www.eventbrite.co.uk/e/local-history-talk-two-fisted-gentleman-a-history-of-boxing-in-widnes-and-runcorn-tickets-53091675631 or in person at any Halton library. Previous articleWhat do you know about tapeworms and head lice?